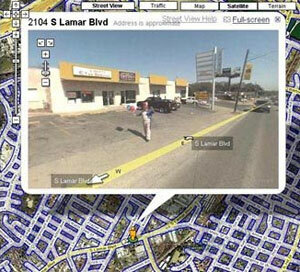 CIA-NSA connected Google has been collecting more than “streetviews” in your neighborhood. In a June 9 letter to the Energy and Commerce Committee, Google director for public policy Pablo Chavez asserted that Google “mistakenly included code in our software that collected samples of ‘payload data'” from private WiFi networks. But review of a patent application from Google covering the gathering of WiFi data published Jan. 28 shows that the data collection program was a very deliberate effort to assemble as much information as possible about U.S. residential and business WiFi networks. Consumer Watchdog, formerly the Foundation for Taxpayer and Consumer Rights is a nonprofit, nonpartisan consumer advocacy organization with offices in Washington, DC and Santa Monica, Ca. Consumer Watchdog’s website is www.consumerwatchdog.org. Visit our new Google Privacy and Accountability Project website: http://insidegoogle.com.